The next advertising year runs from 1st July 2019 to 30th June 2020. See below for mid term advertising rates. 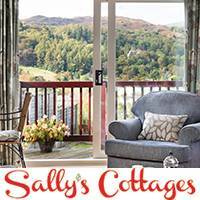 Please contact [email protected] for full details of accommodation advertising pages including “hotels”, “B&B”, “holiday cottages”, “glamping”, “camping & caravan sites”, “holiday parks”, “campervan hire” and “hostels”. High profile advertising directly on accommodation landing pages. No commission payable. 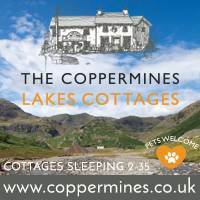 All accommodation advertising also receives links from up to 3 Visit Cumbria information pages. We are happy to advise on the best pages for your accommodation links. Hotels & Inns, Bed & Breakfast & Holiday Cottages – on page ad with direct link to your website – no commission and no booking fees – just £299 for the period 1st July 2018 to 30th June 2019. Holiday Parks – on page ad with direct link to your website – no commission and no booking fees – just £299 for the period 1st July 2018 to 30th June 2019. Glamping – on page ad with direct link to your website – no commission and no booking fees – just £199 for the period 1st July 2018 to 30th June 2019. Camping & Caravan Parks, Hostels and Camper Vans – on page ad with direct link to your website – no commission and no booking fees – just £99 for the period 1st July 2018 to 30th June 2019. Charged pro-rata plus an additional admin fee of £25 for periods starting before 1st January or £50 admin fee for advertising starting after 1st January each year. Advertising booked and paid for for periods longer than 12 months receives a 10% discount on total fee. No admin fee applies. So, for example, from 1st March 2019 to 30th June 2020 is 16 months. 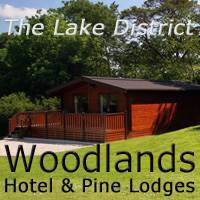 For Holiday Cottages / Hotels / B&Bs / Holiday Parks @ £299 per year. Fee payable is £398 minus 10% – total fee £358.20. Monthly cost is £22.39, saving £2.53 per month. Bookable by the month, payable at time of booking. Please contact [email protected] for monthly fees. Categories available for advertising currently are – Abseiling, Activity Centres, Archery, Ballooning, Bike, Boat Hire, Bushcraft, Canoe & Kayak, Caving, Climbing, Fishing, Flying, Ghyll Scrambling, High Ropes, Holidays & Tours, Horse & Pony, Karting, Lake Cruises, Mountaineering, Mountain Scramble, Navigation, Paragliding, Quads & 4 x 4, Running, Sail & Windsurf, Via Ferrata, Walking, Wildlife. See Banner Advertising in the sidebar. Booked by the month and runs on every one of over 1,500+ pages, seen by every visitor. Prices from £250 per month. Averaging 500,000 views per month.